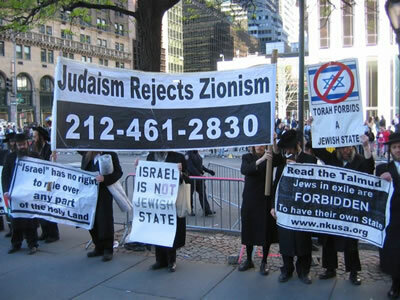 This annual parade is organized by Zionists to celebrate the creation of the Zionist state of "Israel"in 1948. 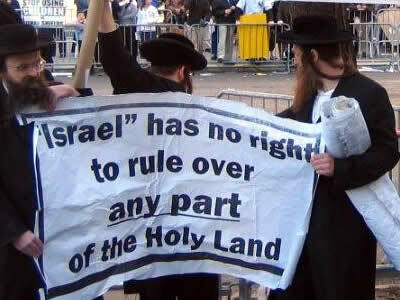 They call this anniversary, "Zionist Independence Day". 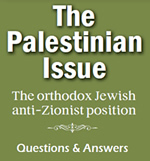 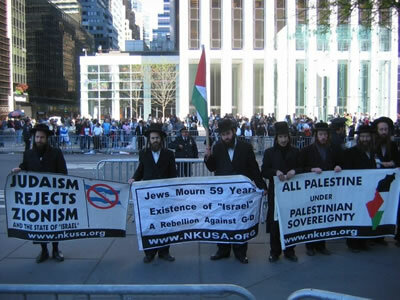 To Torah-Faithful Jews, this "Zionist Independence Day" has been a day of mourning for the past 59 years. 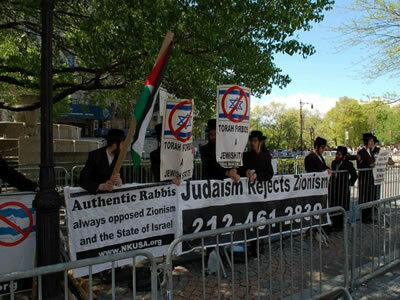 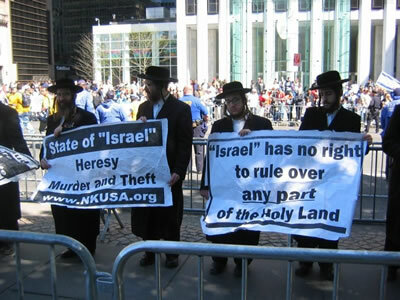 Anti-Zionist Orthodox Jews gathered at the parade to counter demonstrate.